Yup, I have come to the conclusion that you guys are having way too easy a time of it. Here I am doing all the work, dreaming up new subjects to post up on this blog and feeling all the time that I am not working at this friggin' blog in the way that my heroes such as Mr Door Tree or Leif Peng do on their awesome and substantive blogs. So today I am going to get you to work. It all comes about because of a post I was going to make along the lines of how large corporates (don't you just LOVE them!) are inexorably subverting the internet. I was going to take the example of YouTube, where a lot of crappy stuff that makes TV so unwatchable is now grabbing you by the throat every time you go onto YouTube. I mean YouTube was supposed to be where you access stuff that you COULDN'T access on TV. Well TV execs are now responding somewhat late in the day to the realization that the next generation of viewers they have to cater for gave up on the magic box years ago. As in they are way too busy with Facebook and summoning up videos on YouTube to want to sit down and watch TV with mum and dad thank you. I mean how uncool is that? So OK we now get TV for losers on YouTube, that I can cope with, we live in a democracy and if people want to watch their crappy soaps on YouTube fine, just so long as I can watch my kind of stuff on YouTube. But hey! What's happening??? All of a sudden stuff is being pulled from YouTube by the big corporations for copyright infringement. Now I can well understand stuff being pulled if it's going to affect artist's royalties, but a lot of the times the artist's rights are just about the furthest thing from the mind of Mega Corps. What they are doing is removing choice. And here we come to the subject of today's post, The Flamin' Groovies. For it was a particular clip of them on Marc Zermati's YouTube SkyDog Channel that I wanted to revisit. Bear in mind that this clip was from Marc's personal collection, which is unique, he being the man behind a lot of the punk movement in France and in fact released the notorious Iggy and the Stooges album Metallic K.O. as well as hosting the first punk festival at Mount de Marsan in 1976 and it's follow up in 1977. Marc it was who signed the Groovies to his label, his channel is a real event and one of the best things on YouTube for lovers of gritty rock n roll. So imagine my chagrin when I discovered that this film of the Groovies is no longer available because some suit at a record company had decided that a huge copyright infringement had occurred and in a fit of corporate hubris had flagged up to YouTube, that it must be taken down fourthwith but preferably firstwith. It wouldn't be so bad if you could buy a DVD of the Flamin Groovies, in fact their front man Chris Wilson would love a DVD of their few TV appearances too. But no, now there is now no record of this performance to be accessed. Marc Zermati had the film because he cares about this stuff, corporates don't care but they are extremely litigious and they can flex their muscles fairly effortlessly. And now flex your brains and get the old grey matter doing a few press ups within the dark confines of your skull as I hit you with this question. 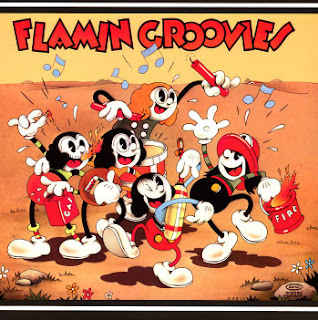 What is the connection between the Flamin' Groovies and this Mickey Mouse comic??? It's a toughie but not THAT tough! The Flamin' Groovies guitarist Cyril Jordan drew the Mickey Mouse cover. Brilliant David, you have reaffirmed my faith in this little blog's readership. 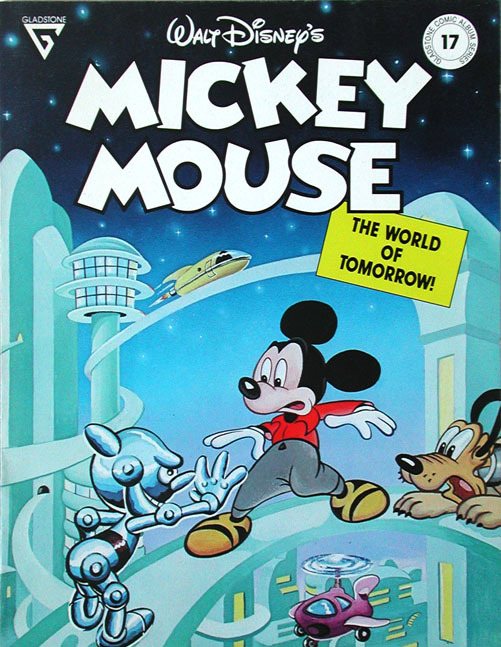 I had this comic for years and often looked at the cover not realizing that it was the work of Cyril Jordan. 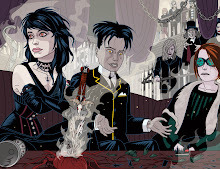 When I did discover that Cyril's creativity is not only informed by the very best of rock music but also the very best of comic art my admiration and awe of this self effacing genius was redoubled. But Sir I Can't Draw Horses!! !